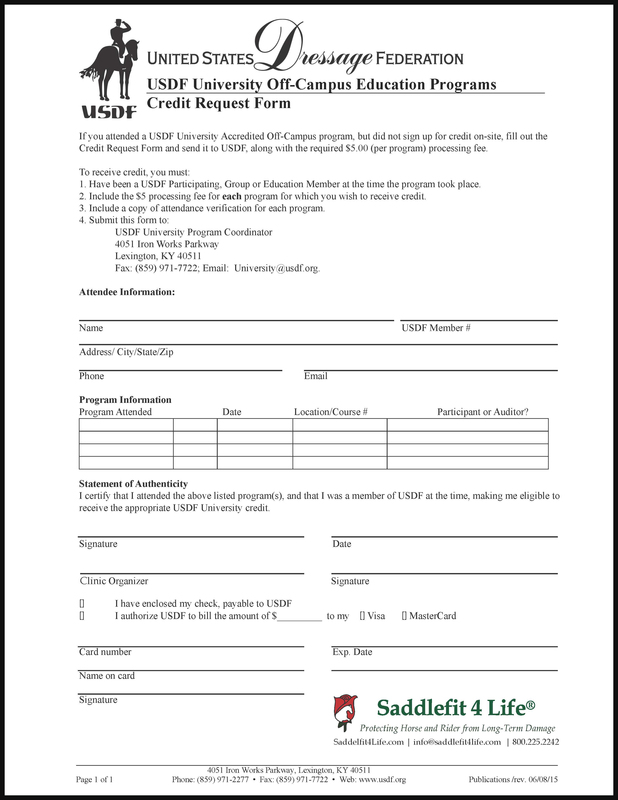 For those participants wishing to receive USDF Accreditation for approved courses, please click on the application form to open and print. Please ensure you take this form to the event to have signed and follow the submission instructions on the form as laid out by the USDF. I have enjoyed all of the e-mails that have been sent my way. I am a 'horse owner from way back' but mostly breeding and not serious riding. This is changing and I am in need of a new saddle. Am looking seriously at a Schleese product, and have very much appreciated all the helpful information on your informative videos. This Savoie video is no exception. Thank you so much for the information presented in such an easy to understand manner.